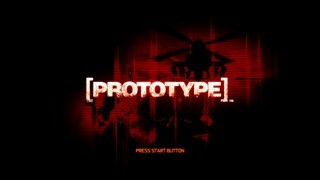 Released by Activision in 2009, Prototype puts players in the role of Alex Mercer, a man who wakes up in a morgue and is trying to find answers to who he is, how he got there, and what's happened to New York City. Fortunately, he's some sort of superhuman shapeshifter, so he has few more tools at his disposal to find these answers than your average Joe. Players will assume the identities of others, navigate the city in ridiculous parkour fashion, and utilize vicious self made weapons to stop all who stand his way. And maybe, just maybe, answer all his questions plus a few he never thought to ask in the end. Best time on Easy difficulty: 1:59:12 by Joshua 'Stormknight' Grant on 2011-02-05, done in 24 segments. The SDA staff, for making the site awesome. The people on the forums who gave me all kinds of help. Special thanks to SBK91 for telling me about the whipfist strategy. Saved me tons of time. You can find the strategy info about this run on the SDA forum. Here's a link to the page with my notes. Movement is very difficult in this game. There are going to be a bunch of tiny movement errors. It's next to impossible to avoid them. Please keep that in mind. The RNG in this game is also terrible. Sometimes, some stuff will spawn here or there or somewhere else. Other times, it's all laid out exactly how you want. Nothing likes to stay the same. Some tricks I use aren't in my notes on the SDA forums. I'll point out something different in the segment comments, but be warned. The last action I take is pressing the A button when the mission complete screen pops up after the second Supreme Hunter fight. The in-game timer at the end of the run is not reliable. I just flash that screen to show that all the missions were completed and gives some other stats about the play through. I recently discovered that you don't have to kill the soldiers at the beginning, so I just ignore them. This segment went pretty well overall. No real issues with this one. Moving on. The first half of this segment went well. I got an early switch after I consumed the commander. In the base had a couple of minor mishaps, due to the hunters being jerks. But all in all, it wasn't that bad. This segment caused several resets because of the soldiers I had to consume. Once I got that taken care of, the rest of the segment went well. This segment was also a real pain. I had a lot of trouble with getting the material from the towers. But after that, the material gathering from the hive was ok. In the video, I was shooting at something randomly in the tank. The reason for that was that I thought it was a tank that I wasn't able to hit. Even with that, I think the segment ended well. For this segment, it's possible to hijack the tanks faster if you can get on top of them and then enter the vehicle. But it's hard to aim properly and make sure you don't get an alert called on you. Also, I have to make sure I get a strike team called on me at the second to last patrol or else I won't have enough EP to get the upgrades I need. This segment was pretty good in my opinion though. The reason I use knuckle shockwave the times I do is that I can take enough damage to kill me in this segment, so I need to pick up some health along the way. Overall, this was a pretty good segment. When I'm heading over to the first objective marker, when I stop doing the short hop and double dash and just run, I'm charging a jump so that I can manipulate where the commander spawns. If I do it right (which I did in the run), he'll pop up in a spot that will make it easy for me to consume him and then head to the next objective. This segment went really well. This fight was almost perfect. Maybe could have saved a little time, but it was an awesome fight nonetheless. Just a save warp here. Nothing special. For the record, I HATE THIS LEVEL!!!!!!!! It was awful when I played it casually and it's even worse during a speedrun. Now that that is stated, the segment went well overall. I get knocked off once while trying to hijack, but it will happen at least once almost every time. You have to get some serious luck not to get shot off a tank during a hijack. This segment was ok. The driving could have been better and the base section could have been better. But the performance was about average and I'm satisfied with it overall. This was a pretty good segment. I got good RNG with the water tower spawn, which makes up for the fact that I couldn't grab the stupid hunter immediately. I was also able to get said stupid hunter down pretty quickly when I needed to. So I feel good about this segment. This segment is a little tricky. I have to make sure that I don't get too close to the Leader Hunter or else he'll do an attack sequence that eats up a lot of time. But I handled it well. For the big group of other hunters, their placement wasn't ideal, but I think it worked out well. This segment has caused me many resets in the past. But this time, everything went great. Nothing major to report here. The main problem for this segment was that hunters kept stopping the Thermobaric tank. Other than that, it went pretty well. For the Supreme Hunter, I didn't climb on him because he will throw you off almost immediately every time, regardless of what his health is at. It's just not worth it. This fight was decent, but I may need to practice it a bit more. The hydras could have been handled a little better, but they are one of the toughest parts in the run. I think this segment was pretty good despite the hydra part. I had some bad RNG with the Super Soldiers, but other than that, this was an alright segment. This segment went pretty well. Don't have anything to say about it. After I start the mission, something weird happens. When I try to consume the first soldier, he glitches and I don't get the consume health. Then when I try to consume another, I end up throwing one of them. I'm not sure exactly what happens, but it doesn't really affect the run. This probably merits some investigation. Anyway, this was a decent segment. Had a little bit of confusion with one of the Leader hunters, but it wasn't a huge deal. The Elizabeth Greene fight was decent. The bad part was that I kept getting hit by hunters while I was charging street sweeper, but that is just another example of bad RNG. The rest of the fight went by no problem. In this segment, I get stuck for a bit on a wall. But on the plus side, I managed to get all of the filters down while in the tank. That isn't easy to do and it makes the segment much easier. This segment has trolled me harder than any other segment. The issue with it is once again, bad RNG. But I managed to get some good luck with this segment and ended strong. The worst part about this segment was that I kept getting hit by the tank shells. Other than that, it went pretty good. The Supreme Hunter fight was ok. He opened up with a move he has never opened with before in the 20+ times I have played through this game. Also, at the end, I could have kept using whipfist to finish him off. But habit took over and I climbed him to deliver the final blow. It was still pretty good though. That's about it for my run. Hope you enjoy watching!